We often consider personal financial management to be an activity meant only for adults, one that requires too much forethought and perspective to adequately manage personal money–whether for how it is spent, saved or invested. A notion such as this might be common, but it is shortsighted, one that could be attributed to why so many Americans have trouble saving money for the long-term. Americans don’t talk about investing enough, and many are simply undereducated about it. For the investors reading this, it is worth your time to begin sharing your knowledge and experiences with others, particularly those closest to you. Parents with teenagers should especially consider discussing the topic of investing with them, as it is an exceptional means to provide them with formidable insight that will benefit them both in the present and for the future. Not sure of where to start? Here are some of the best places to begin talking to your teenage children about investing. Parenting, at its core, is about teaching and sharing lessons concerning morality. Your interactions with your children, from a young age, often revolve around lessons of how to best interact with the world and the people around them: social skills, personal wellness, bettering life skills and more. These morality lessons similarly apply to financial wellness, and parents often hand down their own habits by proximity—a child with poor financial examples will often make similar choices; children whose parents are conservative with their finances tend to end up doing the same. As a parent who has a keen awareness for investing, it is best to get your child involved with the subject, showing them the ropes of the very basics. While people will learn about financial planning one way or another, with or without a mentor, it is best for you to provide some guidance by showing how you got to where you are. How is it that you began saving money? Did you start at a younger age, and if not, do you wish that you did? What is it about investing that you find personally beneficial? In what ways has investing personally benefited the quality of your family’s life? How do you see investing personally benefiting them? What, to you, is the most exciting part to investing? By providing your teenager with a personalized account of your time investing, you can show them how it’s more than just a “subject”—something that is often intellectualized but not understood on a public scale. If anything, it can be turned into a hobby that proves itself fruitful, a game meant to be studied and played with strategy. 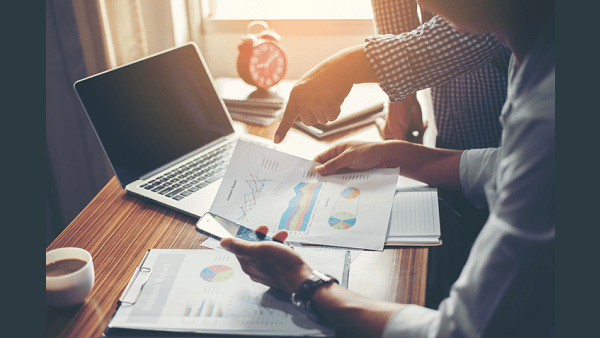 Even if you have a great deal of experience when it comes to investing, you might not know the best way to word it—i.e., making it interesting for someone uninformed. Furthermore, you might not fully understand the “rules of money,” such as how the market works and how investments such as spot prices can be tracked with great detail, and how they can be used to your advantage. If you’re unsure of where to start with your teenager, but are looking for a supplementary work to continue building interest, you can consider providing your child with books by well-known personalities who have made great gains by investing. Daniel Kahneman, a psychology professor at Princeton University, provides an interesting report on investing in his New York Times bestseller, Thinking, Fast and Slow. The book delves into the ways in which our thought processes determine our success in life, particularly when investing. His main thesis is that if any person allows their biases and interests to get the better of themselves, they are more likely to make irrational decisions that can negatively affect their lives. While this is beneficial knowledge that can be applied to any part of life, this is especially useful for investing, as it can dissuade you from making poor investing decisions due to losing focus on what’s best for you. Robert Kiyosaki’s Rich Dad, Poor Dad is another great starting point, as he continually notates how important it is for teenagers to begin investing interest into their finances, saying, “regardless of age, there are always new things we can learn.” By getting them interested from a young age, you can get your teenagers on a path that will lead them towards creating useful financial plans that consist of ingenuitive investing. An easy investment that Kiyosaki recommends is to have your teenager invest in something as small as an American Silver Eagle coin, as it will give them both an asset to watch over and an awareness for how the value of commodities shift with the market. No matter the supplement you decide on, you will be able to provide your teenager with something that will educate them on useful life skills and assets, whether applied to investing or elsewhere, making it wholly beneficial. While it might feel like the smart move to make, one that many parents tend to apply to their children elsewhere in life, it isn’t the smartest move to make when trying to get your teenager first interested in investing. It can be a smart move to allow your teenager to make small purchases in stocks and precious metals to see how their investment fluctuates with time, but it is not a smart idea to allow them to be left alone, to run freely with their investments and to invest too much from the start. Start slow and progress with experience. Otherwise, disinterest might begin lingering rather quickly. Take the time to sit down with your children and discuss the benefits and excitement that come with investing. You very well may be surprised by how quickly they take it on.